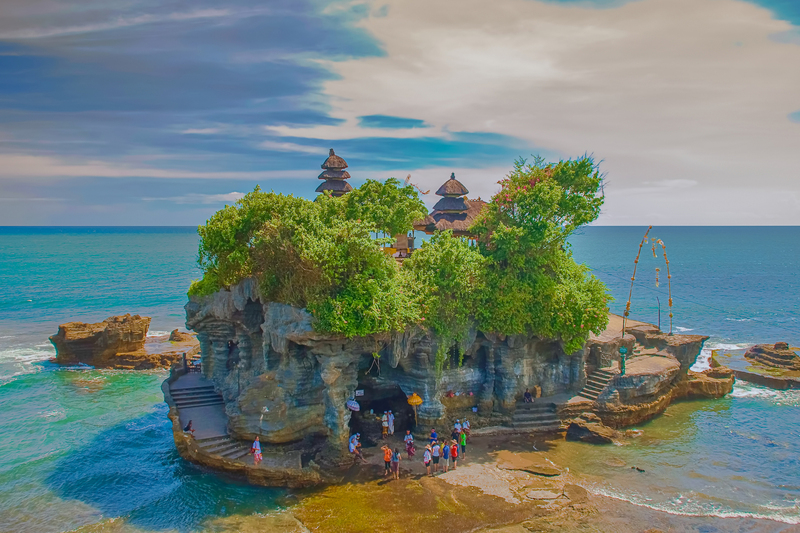 The top things to do in Bali make it by far the most popular for visitors of Indonesia, and for many good reasons. 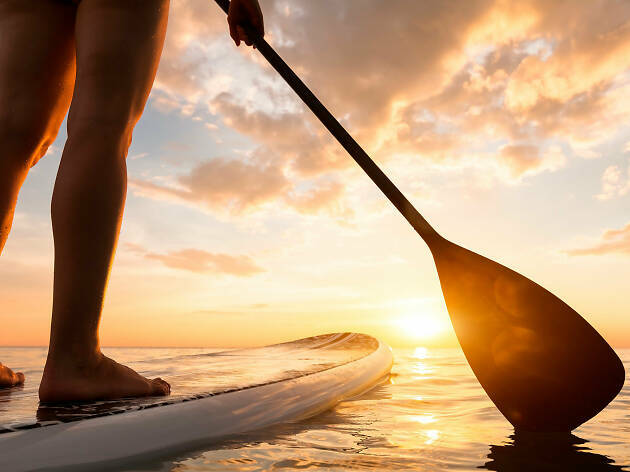 The tropical hideaway manages to be an adventurer seeker’s paradise, a spiritual sanctuary, a family friendly getaway, a food lover’s paradise and a surfer’s oasis all at once. 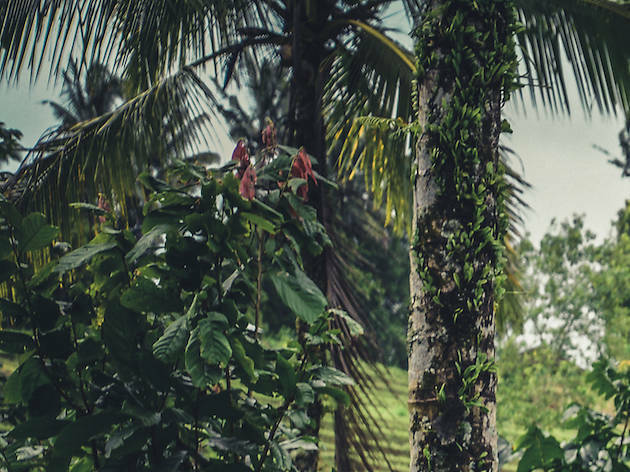 The locals’ warm and welcoming ways and connection to their rich cultural and religious heritage is complemented by landscapes that include rocky coastal cliffs, coral reefs within aquamarine oceans, steep volcanic mountains and emerald-green rice paddy fields. While its natural beauty is plentiful, you’ll also find an excellent and eclectic dining scene. 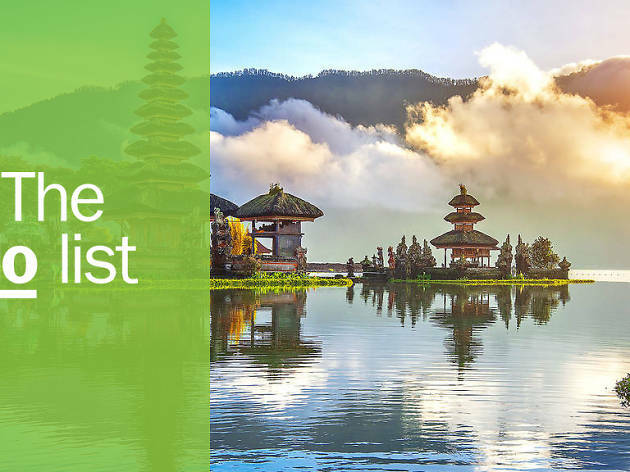 Whether you want to get amongst the action of Seminyak, the relaxed vibes of Canggu, the beaches of the Bukit Peninsula or the idyllic neighbouring islands, there’s a lot to explore in beautiful Bali. Can't decide where to stay? 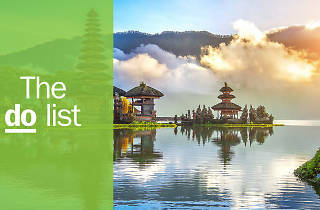 Be sure to check out the best neighborhoods in Bali for top things to do, restaurants and hotels. What is it? A tiny three-island archipelago offering the perfect tropical escape from the already idyllic mainland. Why go? 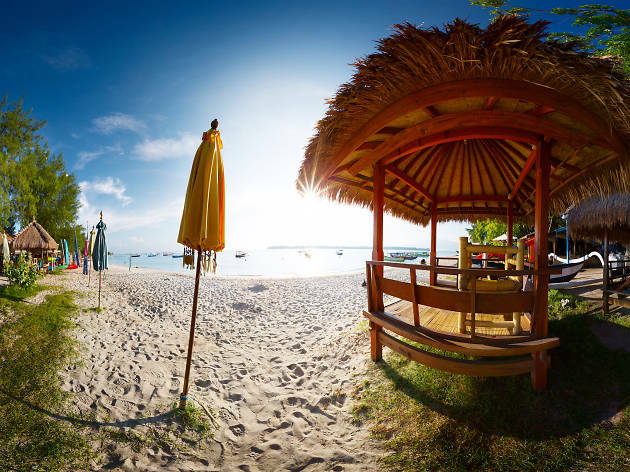 Gili Trawangan, Gili Meno and Gili Air each offer crystal blue waters, diving, cooking classes, cultural experiences and more. 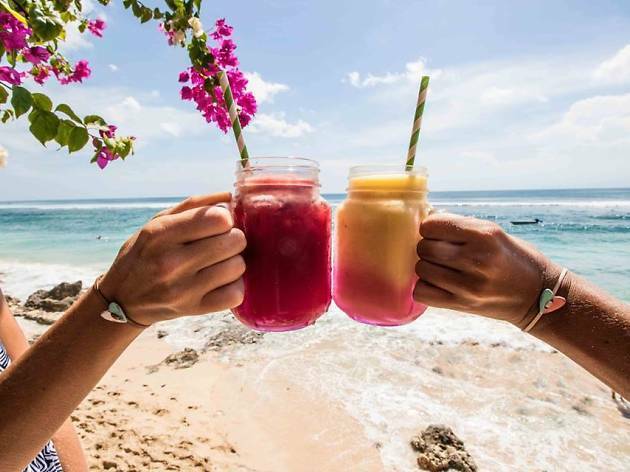 Trawangan is mostly a destination for backpackers (think of it as the party destination) while Gili Meno Air is more accommodating for couples and families. You’ll need to get to Padang Bai harbour, before taking a fast boat to the islands, which takes around 90 minutes. What is it? 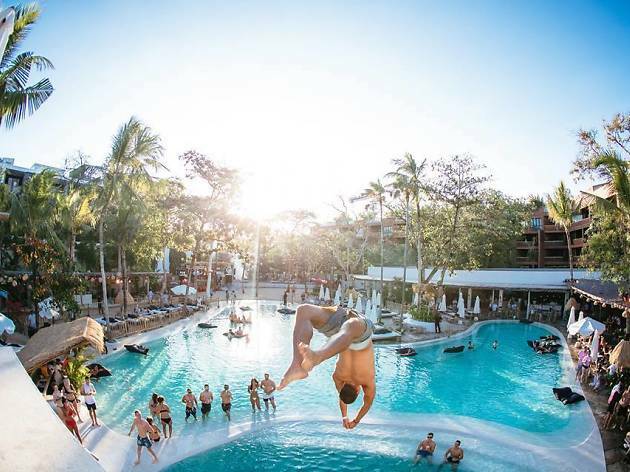 A Sydney bar export, home to Bali’s largest saltwater pool. Why go? While Bali’s beaches may offer great surf breaks, rock cliff sides and stellar sunsets, if you just want to enjoy being by the pool you’ll want to head to Mrs Sippy. They’ll serve you swish fruity cocktails on day beds to a soundtrack of international DJs and house music. What is it? 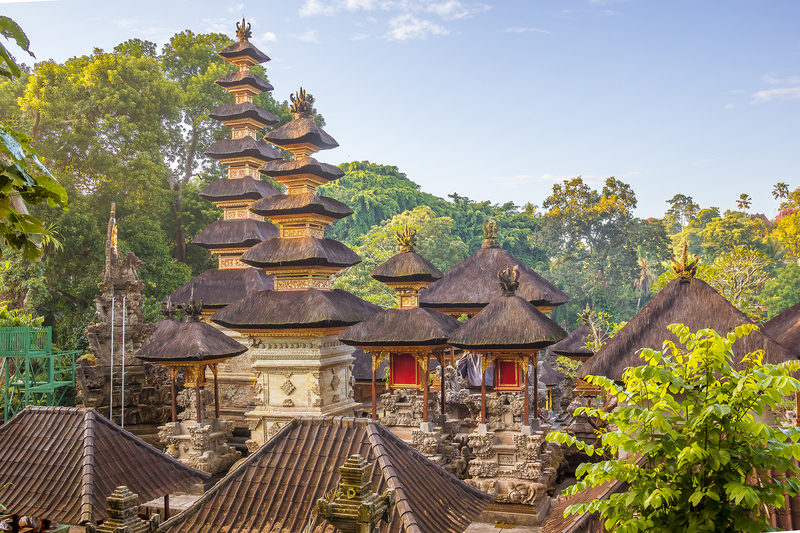 A temple combining the cultural, natural and historical elements of Bali in one spot. Why go? 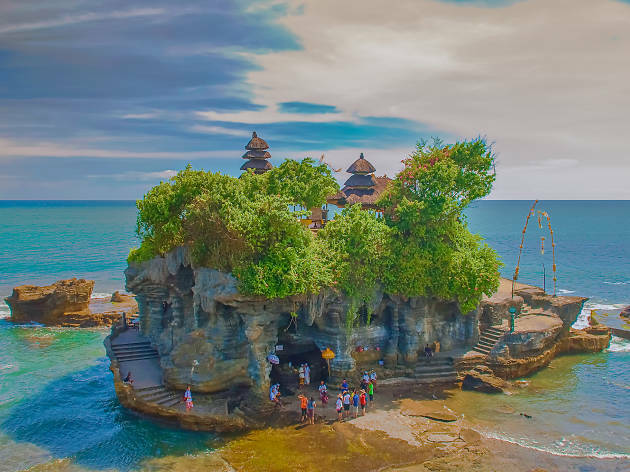 The Hindu temple has long been a pilgrimage site thanks to the temple being steeped within a stunning rock facade by the sea. What is it? A stripped back local’s spot on Bingin Beach. Why go? To try one of Indonesia’s most loved dishes, nasi goreng. Fried rice comes packed with veggies and an egg on top, making it a perfect post-swim or surf meal, and they’ll also do you a mean fresh juice or smoothie. Add in views of the Indian Ocean and sunshine and you’ve got a near perfect, relaxed (and cheap) Balinese lunch. What is it? 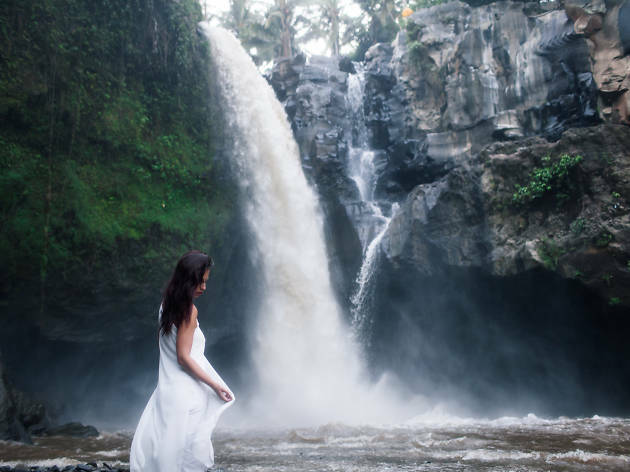 A popular waterfall, located in the lush forest just outside of Ubud. Why go? A 15-minute trek through the forest will reveal a huge waterfall, complete with a thudding cascade that drops around 15 metres. It’s a powerful fall, so don’t expect to be wading underneath it. Instead, view from the rocky surrounds or take a dip in the catchment. It’s also worth noting that the walk down to it is quite steep, and it gets quite busy in the heat of the day, so consider heading to it earlier in the morning if you’re after a more serene experience. What is it? Best described as an adults playground, this jaw-dropping jungle surrounding is not only home to vegetation galore, but 12 oversized swings that flutter you over incredible panoramic views. Why go? 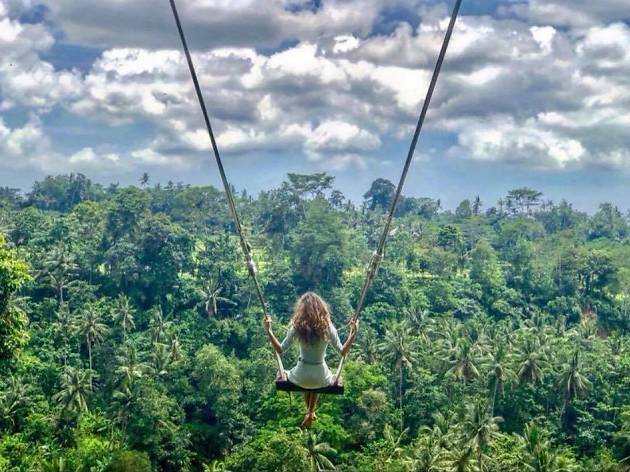 Not only does it make for a great Instagram shot, but there's an unavoidable air of nostalgia about Bali swing. With swings ranging from 12 metres to a whopping 78 metres, it's a slice of high-altitude fun (but don't worry, you’re all buckled in). What is it? 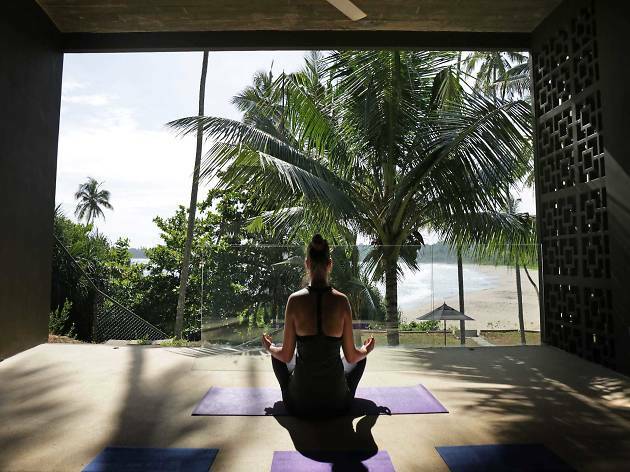 Stretch out and realign yourself at this beautiful open-air yoga studio located in Uluwatu. Why go? They host drop-in classes and mats are provided, so all you have to do is show up. 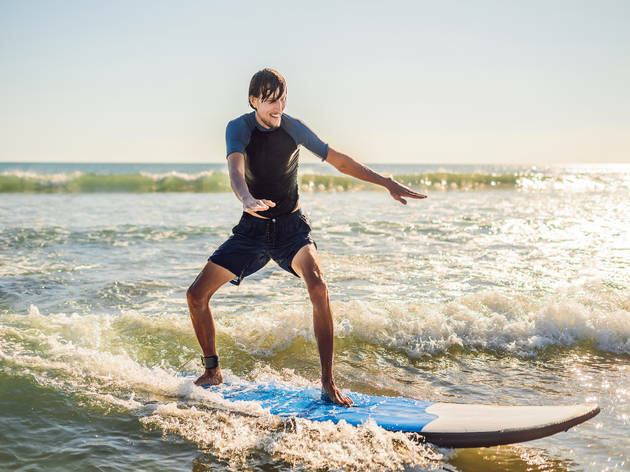 You’ll be guided through a one and a half-hour class, where your left and right are replaced with instructions to pose towards the ocean or the jungle. After class you’ll get an ice cold coconut, and can chat with the super friendly teachers about their tips for the area. What is it? 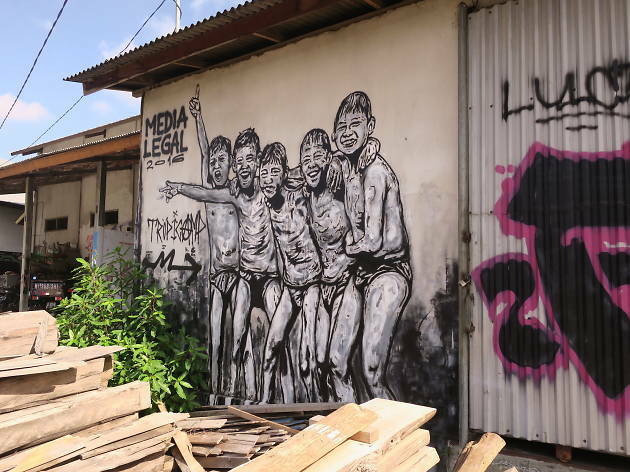 Among the rice paddies of Canggu you’ll find some beautiful street art strewn across the high fences of villas and dilapidated farmhouses. Why go? To spot huge pieces from Sydney’s Beastman and Lister, France’s Seth and local artists that play with traditional emblems of Balinese culture spliced with colourful patterns. What is it? While you can hire your own personal driver or hop in cabs, it’s also really easy to get around Bali via scooter. Why go? Tight roads and traffic jams mean that being on two wheels is one of the most convenient ways to get around, but it’s worth noting though it’s done at your own risk. Make sure you hire your scooter from a decent dealer, be clear on rental prices, take photos of the condition of the scooter beforehand, follow the road rules and finally, don’t jump on any scooters with exposed, hot engines. What is it? This beach located on the Bukit Peninsula of Bali is a bit of a maze to get to but well worth it. Why go? Once you descent down the steep cliffs you’ll be greeted by a small beach with a great surf break, crystal clear waters, friendly local and a couple of great local eateries. What is it? 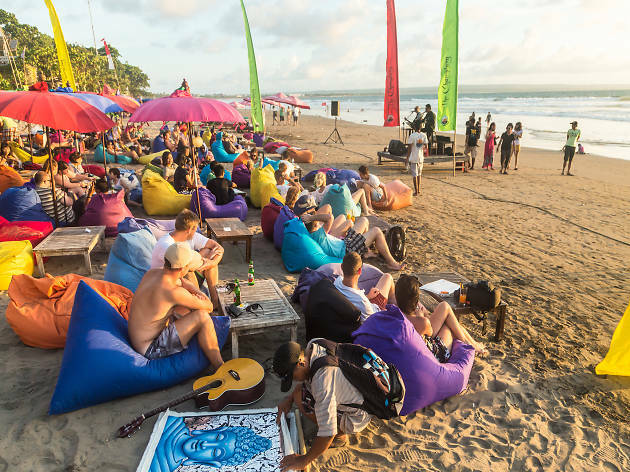 A beachfront bar on Seminyak’s main beach. Why go? There’s loads of rainbow-coloured umbrellas and cushions on which you can relax and watch the sunset over the ocean, cocktail in hand. What is it? This outdoor dive bar takes cues from Californian skate culture, complete with its own Lords of Dogtown-inspired skate pool. Why go? 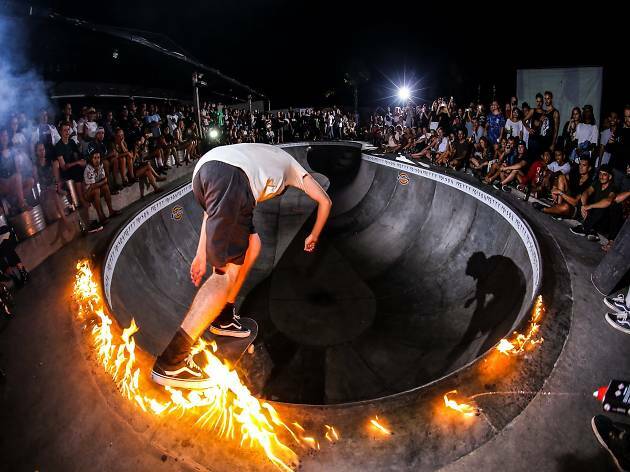 To watch locals beam around the bowl with a drink in your hand, while local DJs spin vinyl. Love skate style? You can now purchase Pretty Poimerchandisedise on their website and take a slice of Balinese cool wherever you go. What is it? Bali has long been a surfer’s haven and for good reason – there are awesome waves year round. Why go? This break located near Uluwatu is a great place to surf for both experienced surfers and when the swell is smaller is suitable for beginners, as it breaks over sand instead of rocks or coral. What is it? Seafood is best enjoyed by the water and Echo Beach capitalises on this with a full seafood barbecue laid out every night of the week. Why go? Choose from market-fresh whole lobster, local prawns, tuna steak or snapper fillet, before it’s cooked to order while you load up on salads and sauces. Nab a picnic table, settle in and share with your mates while looking out over the ocean. It's alfresco dining that's a total breath of fresh air. What is it? 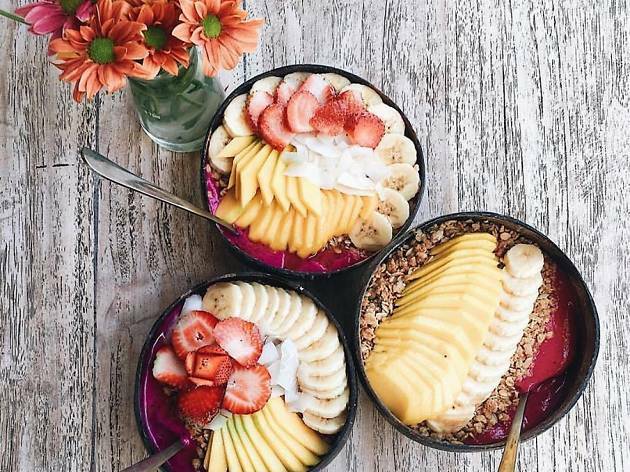 This smoothie bowl shack will whip you up a refreshing healthy treat that is equal parts aesthetically pleasing and nourishing. Why go? They’ll blend up a fruity base – like bright magenta dragonfruit or banana spiked with spinach – before topping it with sliced strawberries, granola, mango, coconut chips and tart goji berries. 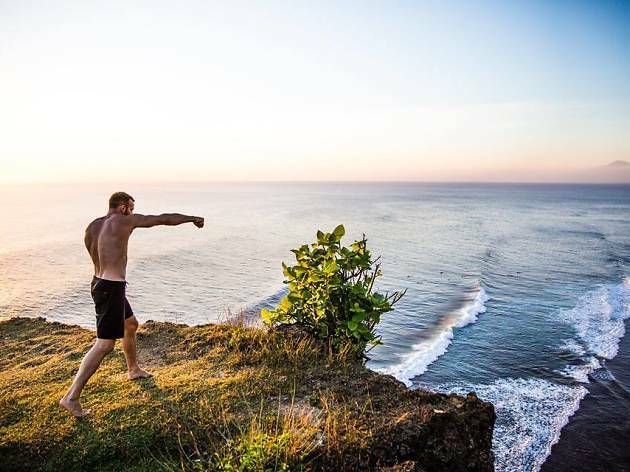 There are four different Nalu Bowl outposts in Bali that you can visit to get your healthy bowl fix. What is it? If surfing is still too intimidating but you want to get out on the water still, try renting a SUP down at Padang Padang Beach. Why go? You can glide out over the water while watching surfers take on the waves. Just watch out for rips and currents – make sure you check in with a local and see what the ocean is doing before you venture out. What is it? An open-air studio specialising in high-intensity fitness classes. Why go? Drop in for a heart-pumping kickboxing session or a muscle-testing kettlebell class, where trainers will show you techniques and push you to your limits. It’s also attached to the Cashew Tree, a terrific café that’s the perfect reward for a post-training feed. What is it? A cooking class that includes a trip to the local markets. Why go? Eaten your body weight in satay, nasi goreng and ayam bakar? It’s worth booking into a cooking class so you can learn the skills behind creating tasty Indonesian meals at home. 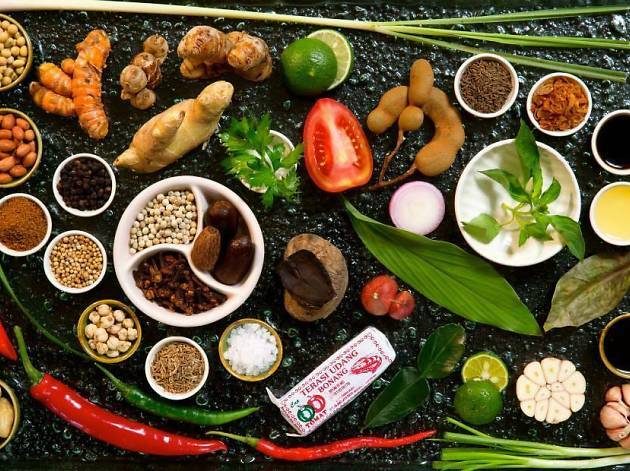 Bumbu Bali combine a trip to the local markets with a cooking class, where you’ll learn the key components of Indonesian cooking, including mastering curry pastes, banana leaf grilled meats, fiery sauces and specialty desserts. What is it? A must visit Bali café with a laid-back atmosphere and calming, tropical vibe. Why go? 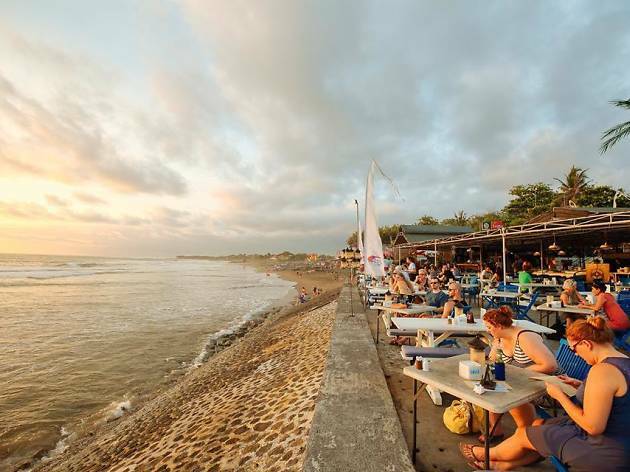 Bali’s café culture is on par with some of the world’s best. But Parachute stands out thanks to its quality and stylish decor. There a nice open space with views of a skyline that's effortlessly inviting. Food-wise, you can expect mouthwatering, locally sourced breakfasts, that include omelettes, pastries, granola parfait and more. For a more unique start to the day, park yourself beneath the delicate canopy and order the passion fruit cream cheese and banana on toast. 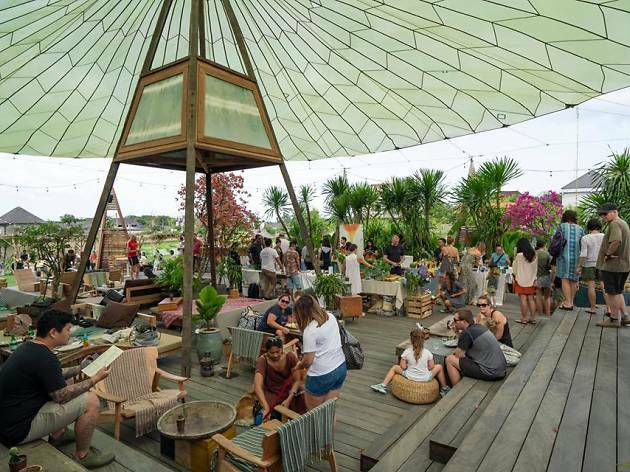 If you’re in Seminyak make sure you check out the treehouse-inspired Shelter, while in Canggu Betelnut and Milk and Madu are must visits. Looking for places to stay? 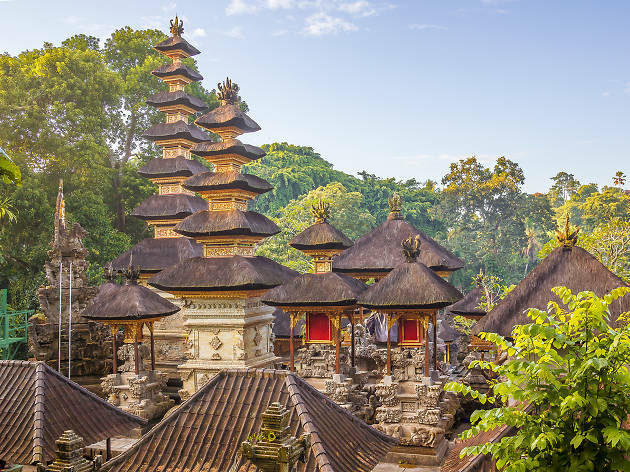 Planning a Bali getaway? 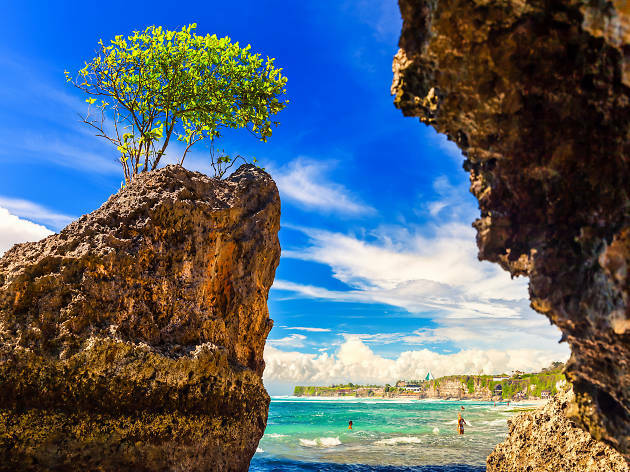 Here, we’ve put together a guide to the five hottest regions of Bali filled with things to do, including some lesser-known gems that might not stay that way for too much longer.